Before we start, make sure the “Hammer Portfolio” plugin is enabled and you have setup all the pages. If you haven’t, please read our previous guides. Go to Portfolio → Add new and create a new portfolio project. Add a title, content, and details for the portfolio item. 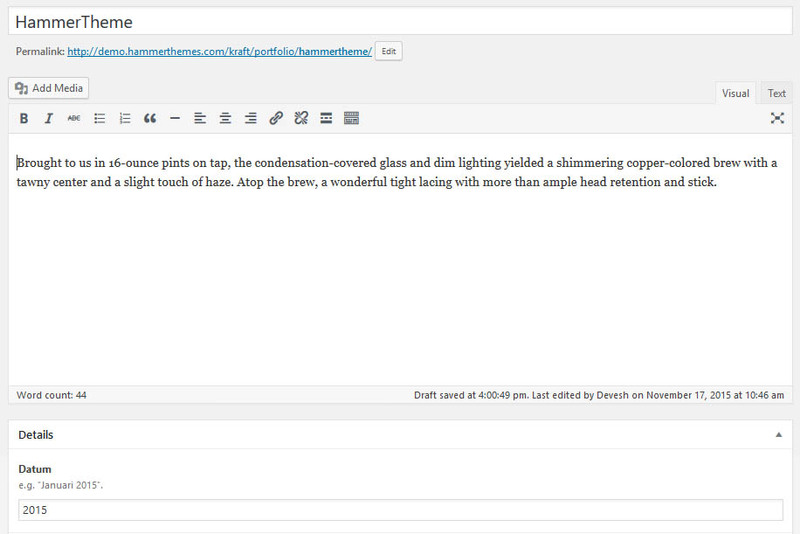 Add your portfolio media details, you will see the details section below the content editor. Click the Add Media button. Pick the type of media you would like to add (gallery, video or audio) and add as many media blocks as you want (switch up galleries, video, and audio: be creative). 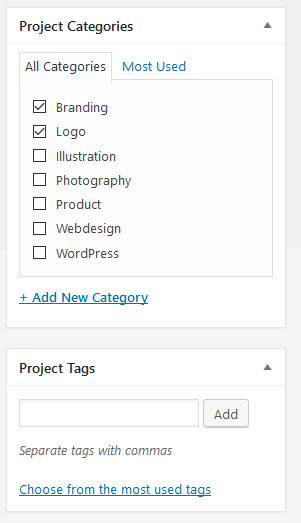 Add portfolio categories and tags. 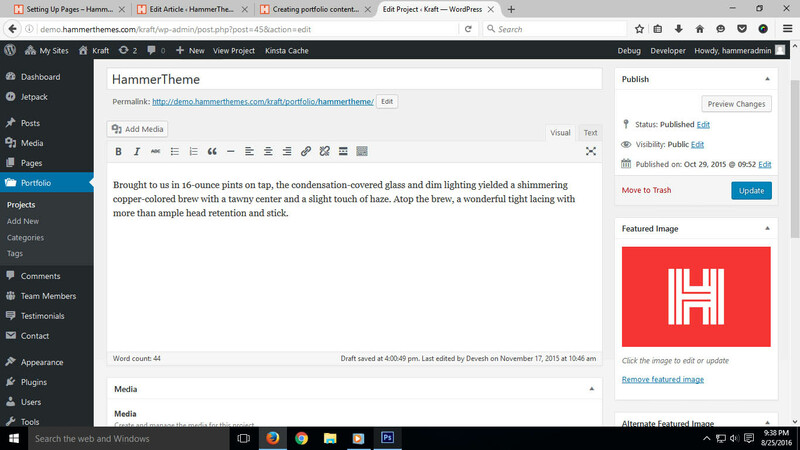 Add a featured image for the portfolio item (which will appear in the portfolio grid) and click the publish button.